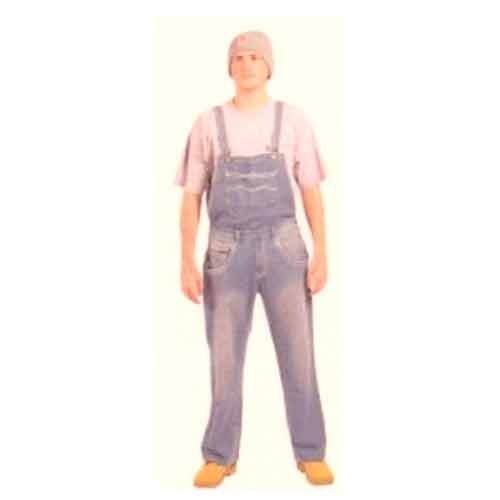 Being a client-centric enterprise, we are engrossed in offering an impeccable collection of Gents Dungarees. Our truly creative designers craft these dungarees by making utilization of standard quality fabric coupled with the cutting-edge machines. Our offered array is thoroughly checked by our quality auditors on well-defined parameters so as to wipe off any possible flaw. Further, these dungarees are immensely admired by our clients for featuring matchless attributes like longevity and elegant design. We “Arihant Garments,” are an eminent manufacturer and supplier of premium quality array of School Uniform, College Uniform, Formal Shirts & Trousers, Service Uniforms, Designer Dungarees, T-Shirt Caps, Industrial Wear, Sports Uniform, Hospitality Uniform, etc. Since our inception in 1991 at Pune (Maharashtra, India), we are supported by advanced infrastructural base that is systematically divided into various divisions such as procurement, designing, fabrication, quality testing, warehousing & packaging, sales & marketing, etc. The designing and fabrication divisions are resourced with advanced machinery, equipment and tools that are required for hassle free production. Moreover, our easy payment modes, transparent business dealings, client-centric approach, affordable price range and ethical policies have enabled us to expand our wings across the market.